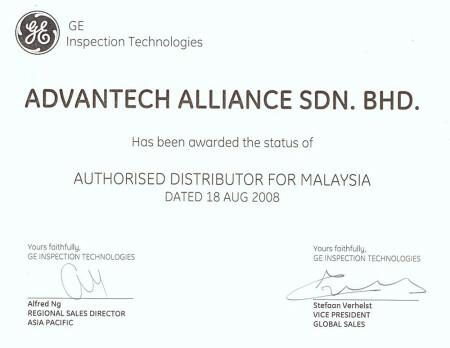 ABOUT ADVANTECH ALLIANCE SDN. BHD. We also recognize the importance of constantly providing excellent customer service to our valuable customers. One of the ways to ensure customer satisfaction is to provide quality products and excellent service at competitive prices to our customers. 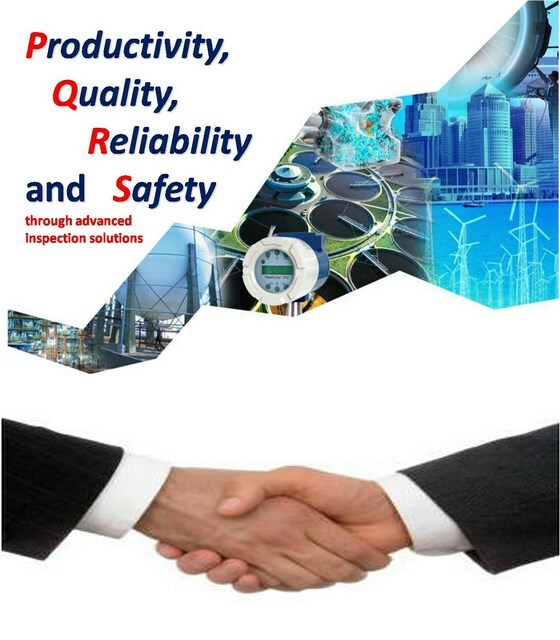 Technical and commercial knowledge are also important to help our customers to make more profit. Aerospace, Automotive, Oil & Gas, Power Generation, Castings & Metals, Electronic, Education etc. Advantech Alliance Sdn. Bhd. is an official distributor for GE Smart Inspection Technologies (GEIT) in Malaysia. We supply GEIT NDT equipment, consumable, inspections management software etc. GEIT product lines includes Krautkramer Ultrasonic, Seifert X-Ray, Phoenix X-Ray Microfocus, Nanofocus and 3D Computed Tomography, Agfa NDT Film Systems, Everest VIT Remote Visual Inspection, Nutronic Testing Machines etc..
NDT – Non Destructive Testing is non-invasive techniques to determine the integrity of a material, component or structure or quantitatively measure some characteristic of an object. 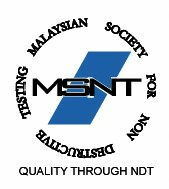 In contrast to destructive testing, NDT is an assessment without doing harm, stress or destroying the test object. The destruction of the test object usually makes destructive testing more costly and it also inappropriate in many circumstances. NDT plays a crucial role in ensuring cost effective operation, safety and reliability of plant, with resultant benefit to the community. NDT is used in a wide range of industrial areas and is used at almost any stage in the production or life cycle of many components. The mainstream applications are in aerospace, power generation, automotive, railway, petrochemical and pipeline markets. NDT of welds is one of the most used applications. Is very difficult to weld or mould a solid object that has no risk of breaking in service, so testing at manufacture and during use is often essential. NDT is vital for constructing and maintaining all types of components and structures. 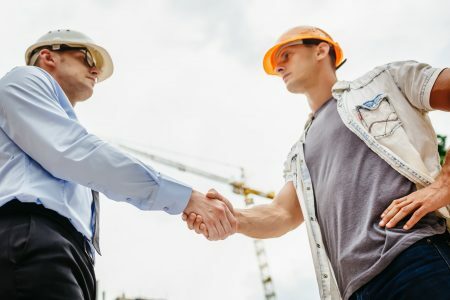 To detect different discontinuities or defects such as cracking and corrosion, there are different methods of testing or inspection available. The common NDT products and methods are like Ultrasonic Testing, (UT), Radiographic Testing (RT) using X-Ray or Gamma-Ray, Magnetic Particle Inspection (MPI), Eddy Current Testing (ET), Dye Penetrant (DP), Remote Visual Inspection (RVI) etc. Cooperating with the advanced world famous firms. We constantly expand areas of our activity. The all-new direction extremely necessary for Non Destructive Testing towards greatest Productivity, Quality, Reliability and Safety.